Give your routine a green makeover for Earth day and beyond! With World Earth Day coming our way, it’s only right we all start thinking about the ways we can help our planet and reduce our impact on the environment. One easy place to start? Your hair routine, of course. 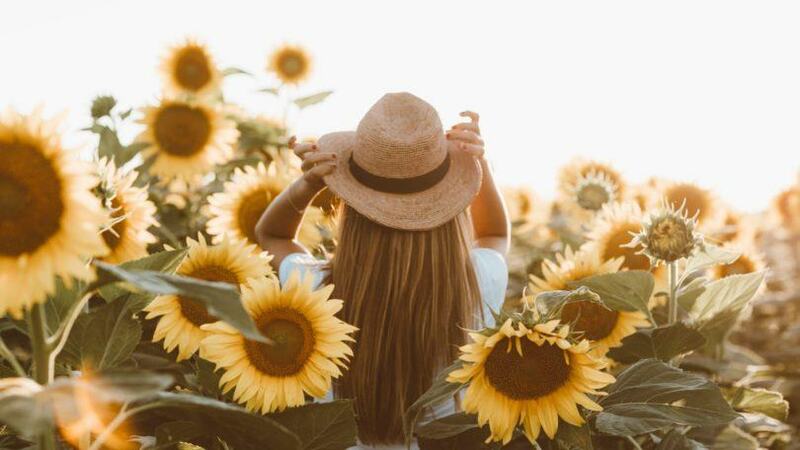 From investing in Eco-friendly products to shampooing less, keep on reading to see the 7 do-able tips you can follow to give your hair routine a green makeover for Earth day — and beyond! One of the quickest ways you can become more earth-conscious with your hair routine is by investing in more products that are organic and made with sustainable ingredients. Enter Love Beauty and Planet! Beyond their love for your hair, skin and body, this vegan-friendly beauty line helps the environment by making products with ethically-sourced essential oils, such as Sandalwood Oil from Australia, and packaging them into bottles and jars, made from 100% recycled plastic. Amazing, right? 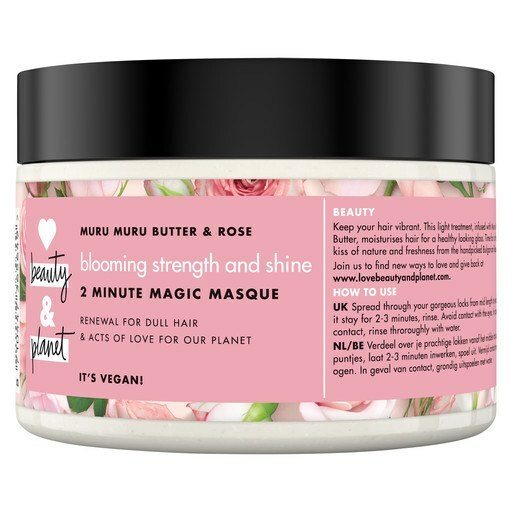 We adore the Love Beauty And Planet Blooming Strength & Shine 2 Minute Magic Masque. In just two quick minutes, this hair mask will take your strands from drab to fab and leave them looking shinier. 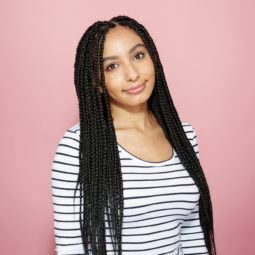 Whether you’re prone to grease or just love the feeling of squeaky-clean hair, washing your strands every day is a habit you’ll need to reconsider to help out the environment, as you do end up using a lot of water in the process. The solution? Shampoo less. Start with skipping one day this week, two next week and so on until you’re only shampooing once or thrice per week. If you’re worried about grease, our round-up of easy hairstyles for greasy hair is all you need. On the topic of lathering up, if 50 people rinse their conditioner out 10 seconds faster. we would save 9000 litres of water! By using less water, we can all do our part in helping to preserve our environment and saves energy. Another way you can help conserve water? By trying a cleansing conditioner, which offers gentle cleansing and conditioning in one quick step (and bottle). This will mean you’ll most likely spend less time washing your hair. Bonus! Transform your empties into a work of art. Want to save the planet in a creative way? Instead of throwing your finished shampoo or conditioner plastic bottles away, try upcycling. 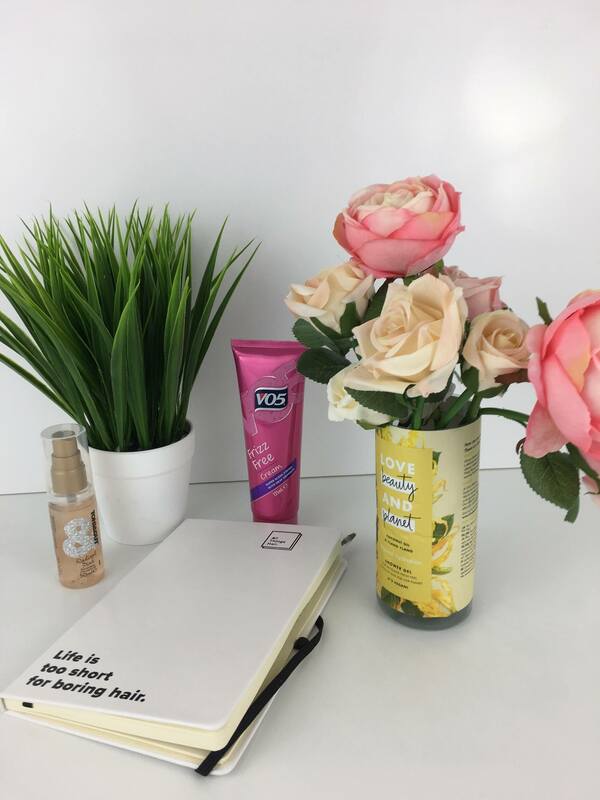 Whether you want a new makeup brush holder or a quirky plant pot, finding ways to upcycle your pre-loved empties will be a fun way you can help the environment. Did you know that recycling one shower gel bottle saves enough energy to toast nearly three rounds of bread? So, if you’re struggling to find a way to get creative with your empties, just make sure to recycle them (always check that they can be before of course!). Like cutting down on washing your hair every day, heat styling is another thing you can try limiting to help the environment. Being more energy efficient will mean you’ll need to challenge yourself to style your mane without heat! Luckily, we’ve got your back with these celeb-approved heatless hairstyles. Need winter hair inspo? See how Nicole Scherzinger is slaying the hottest haircut of the year!